ADVERTISEMENT FOR RECRUITMENT TO THE POST OF SENIOR RESIDENTS UNDER GOVT. OF INDIA RESIDENCY SCHEME IN AIIMS, RAIPUR....(From Official Notification Of AIIMS, Raipur Chandigarh). All India Institute of Medical Sciences Raipur (Chhattisgarh), Is Recruiting To The Post Of Senior Residency Scheme, So Like Always Eligible & Interested People Can Apply For This Job From 18th Of January, To 5th Of February, 2019. Kindly Do Check Out The Official Notification For Better Information, It's Given Below. A. Number Of Vacancies &Name Of The Posts (Admin/Recruitment/SR/2019/AIIMS.RPR/639). 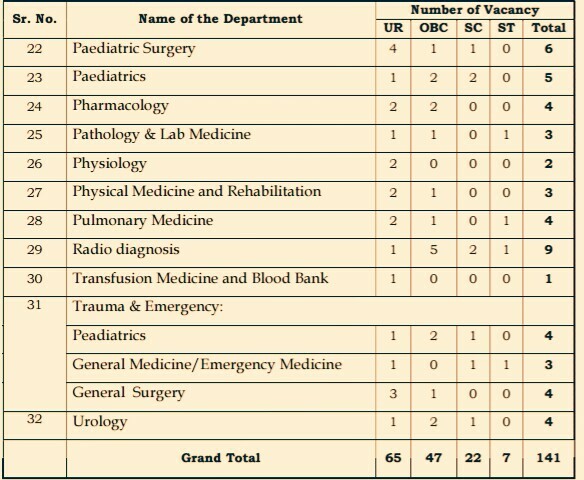 Senior Residents, Check Out The Image For More Information →141 AIIMS Departmental Vacancies. 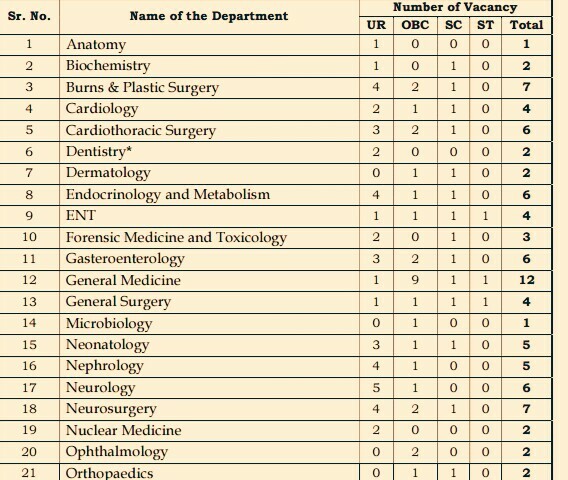 Total Number Of Vacancies →141 Vacancies. (Credit - Official Notification Of AIIMS Raipur). B. Eligible Criteria For AIIMS Raipur Recruitment Notification 2019. Age Limit →Upper Age Limit Is 37 Years. Educational Qualifications →Candidates Must Be Post Graduate In Medical Degree/Diploma In Respected Discipline, For More Check Out The Official Advertisement Below. Mode Of Examination/Selection Process →Select Through Written Exam & Personal Interview. Online Application/Examination Fee →₹1,000 For General/OBC, ₹800 For ST/SC And There No Fee For PWD Candidates. Admit Card Download →For AIIMS Raipur Admit Card Download 2019, Kindly Check Out The Official Website Time To Time, Link Is Given Below. For More Informations→For Information Related To AIIMS Exam Date, Results & More Kindly Do Check Out The Official Website Here >The Official Website Of AIIMS, Raipur, Chandigarh.